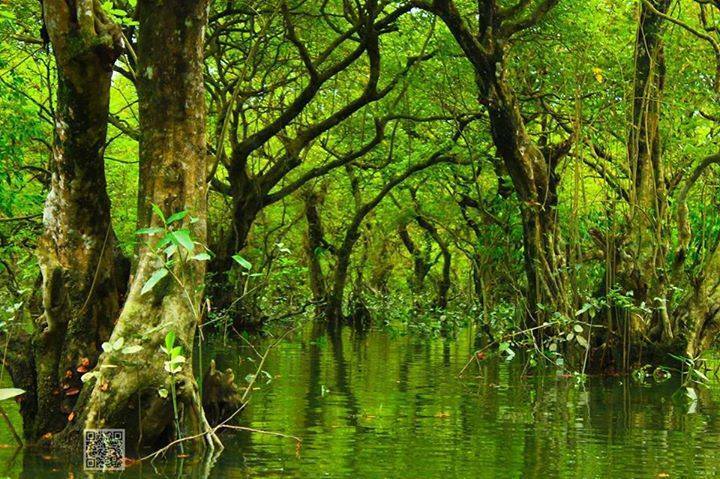 Located in Gowainghat, Sylhet, Ratargul is freshwater swamp forest. It is 26 kilometers away from the central town of Sylhet. Ratargul forest is economically and culturally very significant for Bangladesh as Ratargul is an area which consists of freshwater, and in the whole of Asian sub continent only two places, out of which one is Ratargul, are there which have been classified as freshwater swamp forest. Time: 6-7 hours (Bus), Air 45min (Air), 8 hours (Train). Explore: Ratargul , Sylhet , Bangladesh. Distance: 26 kilometers from  Sylhet Sadar. Accommodation: Hotels ,Cottages etc available in  Sylhet sadar. Food: Food is not available in Ratargul . Ratargul forest is under the Forestry Department, Government of Bangladesh. For those tourists who love adventure in their tours, those who want to explore dense forests Ratargul is the place for them. The size of Ratargul forest is 325.61 acre, and often tourists who have visited Ratargul calls it the Amazon of Bangladesh. According to information available in Wikipedia in the rainy season water level in Ratargul forest rise to 10 ft. and somewhere even 15 to 20 ft. Therefore tourists visiting Ratargul in the rainy season will have a very authentic, eye-catching and startling experience, perhaps those once in a lifetime experience which everyone craves. However, tourists must be careful while traveling through the dense, dark green and not much-treaded waterway path through the forest. The Ratargul forest is reported to have a diversity of plants and animals. Included in the wide range of animals are snakes and worm-snakes. As it is a swamp forest, it is usual for snakes to live in such a forest. As a result, it is wise for tourists to take note of the advice the Forestry Department gives and take necessary measures before undertaking the trip to Ratargul. To visit Ratargul tourists need to take permission from the local Forestry Department, and request them for a boat. The boat that provides to the visitors is an engine boat, and with this boat, the tourists can start their incredible journey of exploring one of the finest swamp forests of the world. Words are not sufficient to describe the beauty of Ratargul and particularly the intensely magnificent environment a tourist will get exposed to as he/she keeps on entering inside the forest. There are areas which are so dense that a small glimpse of sunlight can be noticed, and it is guaranteed that a tourist will feel that he/she has entered into a different world, a world far away from the hustles of the city and the worries of the daily life. Ratargul will give the tourists a world of astounding silence and a magnificent living portrait of the natural life. Various animals such as monkeys, squirrels, wolves will cry welcoming the tourist in an unknown yet amazing world. Apart from that diverse type of fishes, a wide range of plants distinct in appearance and majestic as well will surely catch the eye of the tourists. The boat journey will be for the tourists a journey worth writing a novel or story about. How to go to Ratargul Swamp Forest, Sylhet? 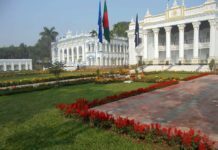 Tourists can go to Sylhet by air and land directly in Sylhet Osmani International Airport, or from Dhaka, visitors can go by road to Sylhet first through their car or hired car or bus service. By the way, it takes 6 hours to reach Sylhet from Dhaka. 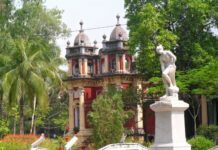 Also, tourist can use train service to reach Sylhet which they can avail for themselves by going to Komolapur Railway Station. After reaching Sylhet tourists will find there are various ways to each Ratargul. However, the easiest and efficient way is to hire a CNG auto rickshaw or a car and go to Goain Ghat. It will take approximately 2 to 3 hours to travel to Goain Ghat from the main town of Sylhet. Once reaching their tourists will be able to hire boats and start their exploration into the dense forest of Ratargul. With each boat there happens to be a local man is a part of the local forestry department. He operates the boat and knows the dense areas inside the Ratargul forests and how to get back safely. As a result, the safety of the tourists is ensured by the Forestry Department of Sylhet. However, it is highly advisable that when visiting Ratargul tourists must only take permission from the Forestry Department and not other people as there is a chance of hijacking. The best time to visit Ratargul is in monsoon time, probably around the end of June to the end of August. Food is not available in Ratargul, and as a result, tourists must bring with them food when visiting Ratargul. 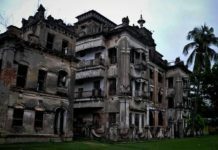 Also, there are no accommodation facilities in the forest, and as a result, tourists must make their trip of Ratargul a day trip and return before dusk.